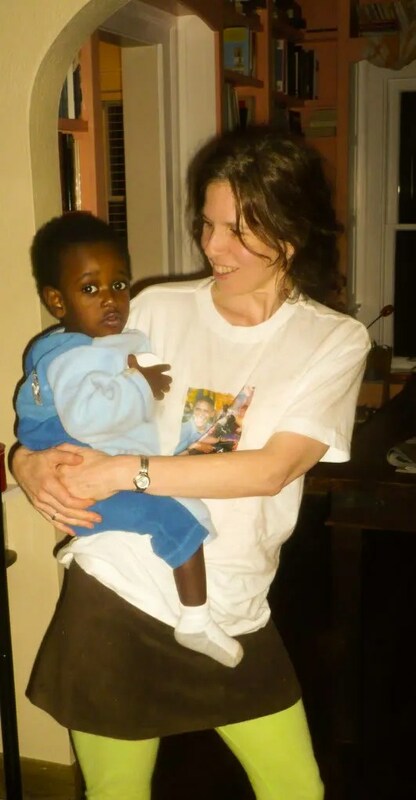 My good friend Grace has adopted a boy from Ethiopia, Rahmiel Yared Llewellyn. I got to meet him for the first time last week. He was immediately friendly with me and we had fun throwing a bouncy-ball around. It’s just wonderful to see how much he and Grace have bonded already. They seem just right for each other. Here’s part 5 of the stuff I learned in my undergrad in psychology that I thought should have been headlines. If you missed them, here are part 1, part 2, part 3, & part 4. As always, if you are interested or skeptical, leave me a comment and I’ll give you my sources. If You Punish Your Kids, Use the Mildest Effective Punishment: Do the mildest thing you can that stops the behavior you don’t want. The reason is that a punishment that is harsher than necessary takes the child’s initiative for stopping the behavior out of the picture. If you say “Hey, don’t do that,” and the child responds, they come to think that they didn’t really want to do that thing anyway, since such a mild rebuke got them to stop. Psychologists call these principles “insufficient punishment” and “self-persuasion.” These are research findings, not just speculation. If you sit on and beat your child to get them to stop doing something (as suggested by Mike & Debi Pearl), they will believe something more like “That activity was so great that I’ve only stopped because of that horrible punishment.” In other words, the form of the punishment affects the identity of the child–do they behave well because they think of themselves as well-behaved, or do they behave well only because they fear punishment? You May Want Your Kids To Be Less Blindly Obedient Than Most People: One of the most famous psychological experiments of all time found that most people risked killing someone they barely knew, given an institutional setting and an authority telling them to do it. The Nazis were mostly not evil, just obedient, like most of us. Each Ethical Decision You Make Affects Your Future Ethical Decisions and Your Identity: If you, say, decide to cheat on a test, you will be more likely to cheat on tests in the future, think of yourself as someone who cheats on tests, and form permissive attitudes about cheating. The opposite is true if you decide not to cheat on a test. Complement Your Kids For the How Hard They Work, Not How Smart They Are: Getting attention for being smart tends to make kids want to appear smart, which makes them choose easier challenges and lighter competition; it’s the success that matters. Getting attention for hard work does the opposite. This means that these kids will end up smarter than the kids who got attention for being smart. Teach Your Kids to Think About Intelligence as a Fluid Property: That is, teach them that they can become more intelligent by trying. The more they believe it, the more it will be true for them. If Your Kids Read, Don’t Reward Them For Reading: They will be more likely to stop, if you do, because they will start to think of reading as something they do to be rewarded, not because they like it. If they don’t read, reward them for reading. This goes for other activities, too. Hi Grace. Off the top of my head, I love how my parents sang a lot. My mom sang around the house, washing dishes or whatever, whatever song was in her head. I remember her singing the Oompaloompa song from the other room after we’d recently watched Charlie and the Chocolate Factory. I remember thinking that she sounded so good–just right. My dad sang to us every night at bedtime. He’d come up to me and Ely’s room after we were tucked in and sing us a few songs with his guitar. I had no idea how special that was–it was just something that happened, but it’s such a warm memory now. They were usually the same songs but I never got tired of them. One of them was Gordon Lightfoot’s “The Pony Man.” That was my favorite. One was “I Been Working on the Railroad.” He also sang an odd little song I’ve never heard anywhere else that went “What do you do in a case like that?/What do you do but stamp on your hat?/And your nail file and your toothbrush/And anything else that’s helpless.” Hilarious! But writing about my bedtime made me think of a larger story about how I was parented. My days and weeks–my life–as a kid were punctuated with so many fun, comforting rituals. Bedtime was the best. My dad’s singing was the last part of a great time. My mom read to us from a chapter book every night. I could count on it. I could anticipate it with total safety. I loved it. And yes, sometimes I cried when she was ready to stop, because I wasn’t ready for her to stop, but I also looked forward to it the next night. We brushed our teeth together in our tiny bathroom, and my dad would call out the checklist of things we might need to do before bed, “OK, pee, poop, throw up, brush your teeth, go to bed,” and then, while brushing, the dental geography, “Bottoms of the tops, tops of the bottoms….” My mom would tuck us in, and gave us our choice of a back or head scratch. That was just bedtime. We ate all of our meals together as a family. Each kind of meal had its own ritual. My dad’s dishes all had names that he announced with triumph: “Lentissimo Magnifico!” was one of his lentil dishes. He could be counted on (and still can, now that I think of it) to remind us that broccoli were miniature trees and that beans were miniature potatoes. On Saturday mornings we baked bread and Saturday nights we ate pizza on the homemade pizza crusts. On Sunday mornings we had pancakes. Every two weeks we’d all go out to the local dairy and watch the cows get milked. My parents bought the milk before they pasteurized it. We’d sit around the living room, shaking quart jars of fresh, whole milk until it separated. We made butter from the cream and (usually chocolate, s0metimes tapioca) pudding from the whey. We had regular nights with foot rides or crazy eights or The Muppet Show. There were great wrestling matches, the brothers against my dad. We’d apparently pin him every once in a while and he’d say “Now any normal person wouldn’t be able to move right now…” and that meant we were about to get (gently) tossed around the room. I think I was an extra-sensitive kid, so maybe I was a special case–I mean, I don’t know that this will apply to Yared–but I’m so grateful to my parents for all of the regular, predictable, fun, comforting moments. They created structure for my days, gave me things to look forward to, cushioned the blows when things didn’t go my way. They also created a culture for the family: This is what life is like for us. This is what it feels like to be a Lester. There were exciting times, too, of course. Like ice cream once a year or so. Or Disneyland, or relatives visiting. Or the couple times that we moved. That kind of stuff made vivid memories, being so rare, but it is the predictable stuff that I feel so warmly about. As I’m thinking about all that, too, I’m reminded of the communication theory I’ve been learning in my Couples and Family Therapy program. In it, human communication exists on two levels. One is the obvious, content level–what the words mean. The other is a higher level communication, a non-verbal assertion about the nature of the relationship. The non-verbal sets the context for all of the other communication, colors it. One thing about non-verbal communication is that there’s no negative term. You can’t say, for example, “I will not hurt you” with non-verbal behavior. All you can do is put yourself in a position where you could hurt someone, and then not do it. One book, Pragmatics of Human Communication uses the image of an animal communicating to another that it will not hurt them by taking their throat in its jaws and not biting down. It seems like being a parent (and maybe part of any relationship) is to be constantly in that position. It seems to me that love is like that. The words “I love you” do not convey love by themselves. I appreciate so much how my parents showed me their love–rather than telling me about it–in all of these little, regular, predictable ways, making me feel comfortable and cared for, giving me a safe physical and emotional space to explore myself and the world in.